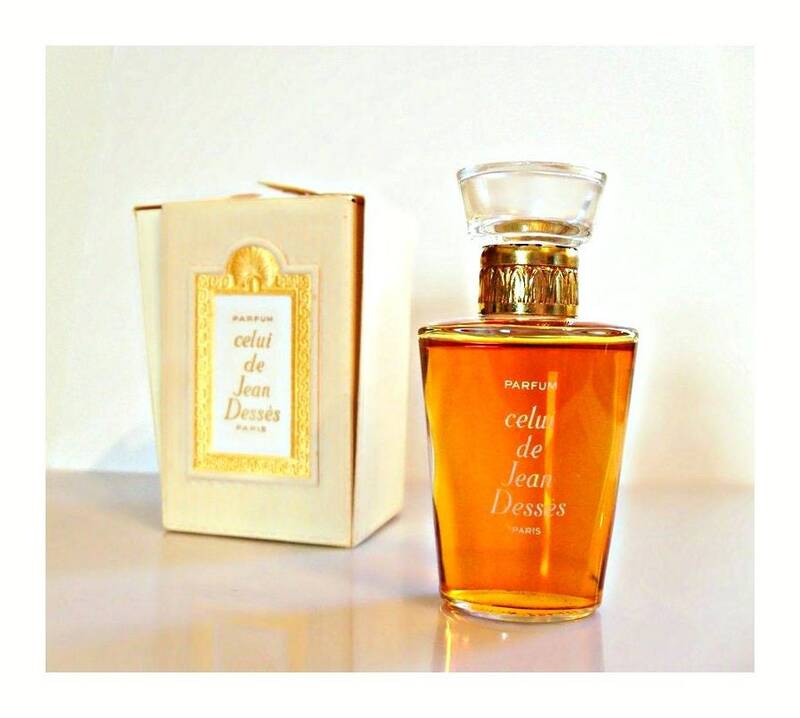 Vintage 1960s-1970s Celui by Jean Desses 1 oz Pure Parfum Splash with Box. Just removed from sealed cellophane for these photos. 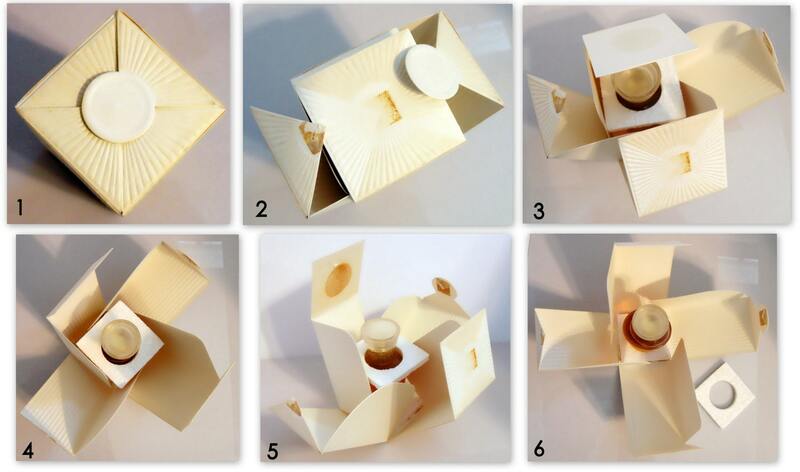 The box stumped me a little as I was unsure on how to open it at first. But I very carefully used an x-acto knife to lift the very top circle and then was pleasantly surprised to see how each side unfolds it opens up into a neat display. You can see from the photos each step I took opening this. 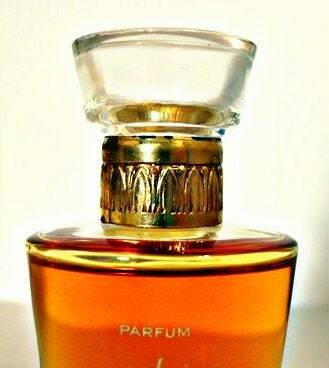 The parfum is housed inside of a beautiful glass bottle with white serigraphy on the font. 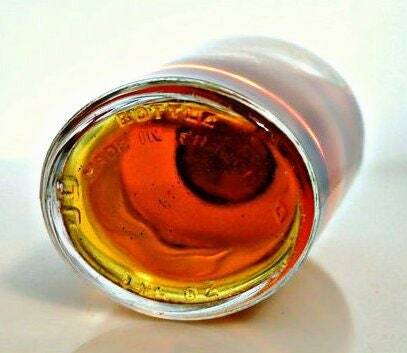 The screw cap is fitted with a glass top and a gilded metal band. The bottle stands 3.5" tall. 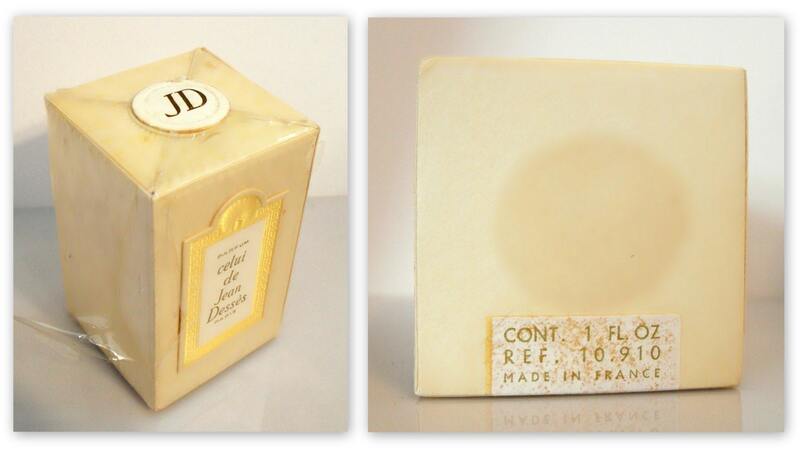 The base of the bottle is molded with "Bottle Made in France", "JD", "1 fl oz". I just noticed a little rough spot on the glass on the back, towards the bottom, this must have happened during manufacture as this was a sealed bottle and was just removed from the cellophane. I am only mentioning it for complete accuracy. 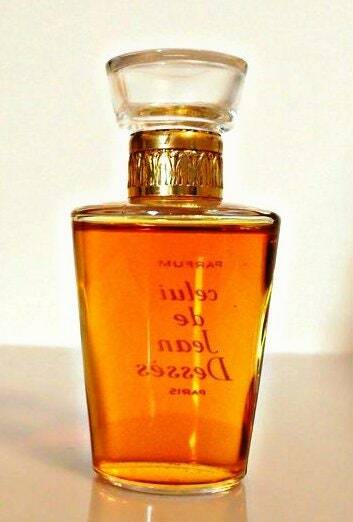 The bottle is full, but the perfume is old and no longer as fresh as it once was. I just tested a drop on my skin and the perfume still smells good and is wearable. After about 4 hours later it still smells strong on my skin where I applied it. This has lots of fuzzy oakmoss and my cats were definitely attracted to the civet. Launched in 1938. 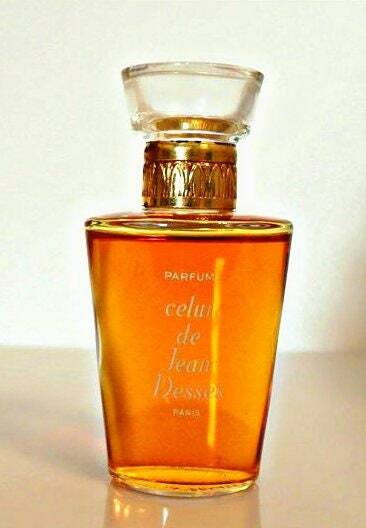 Created by Paul Vacher for Les Parfums Jean Desses. 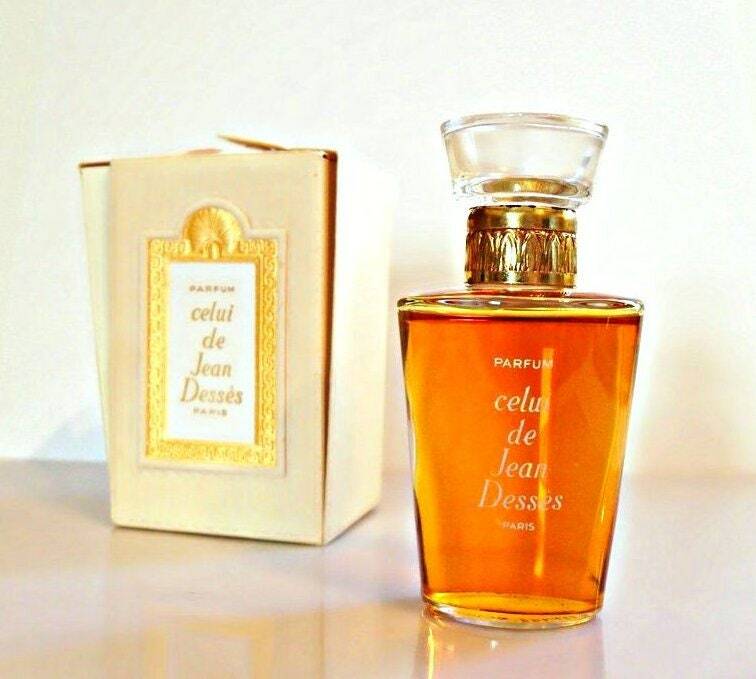 Advertisements of the day described it as "a perfume as soft as a secret". 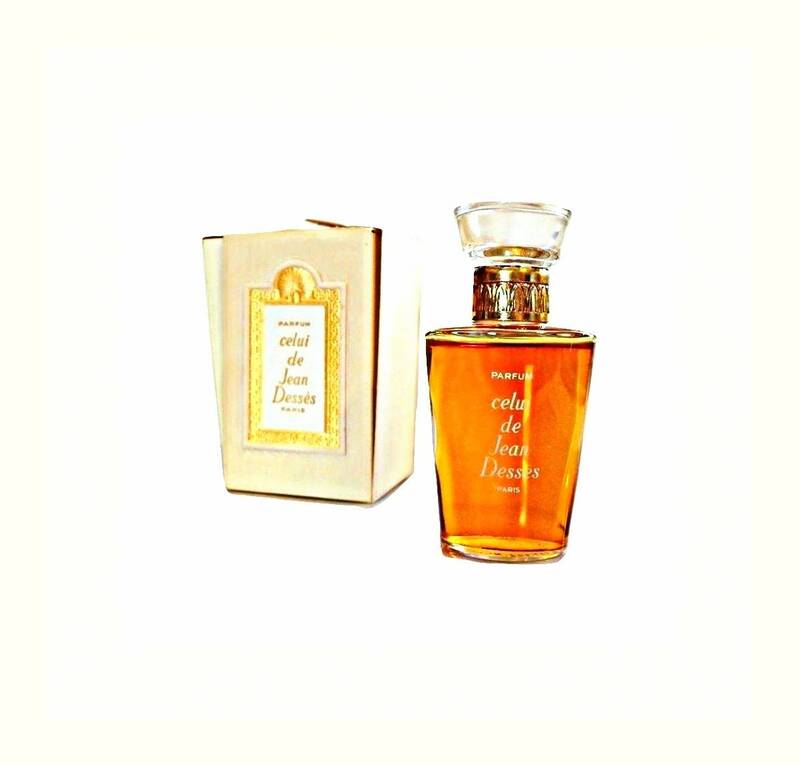 It is classified as a floral chypre fragrance for women. This has been discontinued since the 1980s and can be quite hard to find. Please see my policies on vintage fragrances as I cannot offer refunds or accept returns on this item. Please ask any questions before purchasing.